ConPapTex Equipments introduces Slitter Rewinder Machines (Light & Heavy Duty) with Timing Belt Arrangement for noise-free smooth working. We also manufacturer of Drum Type Slitter Rewinder Machine for various industries like flexible packaging, paper. 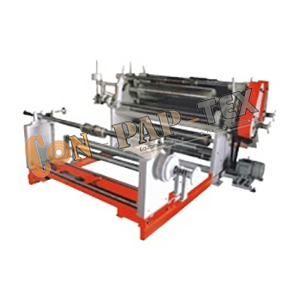 Our Drum Type Slitting Rewinding Machine comes in use for Slitting of all types of material. Different types of Plastic & Paper Materials are used for different type of applications like, PVC, LDPE, HDPE, BOPP Film, etc.